Greek yogurt is a great option for an afternoon snack or a compliment to breakfast due it’s higher protein content as compared to regular yogurt. However, the yogurt isle can be intimidating with the several different brands of Greek yogurt available. One thing to be careful about when selecting a flavored Greek yogurt is the amount of added sugar. Choosing plain Greek yogurt and adding your own fruit, cinnamon, etc. is always the best option but if you want to try one of the flavored options then Chobani Less Sugar Greek Yogurt may be a winner. 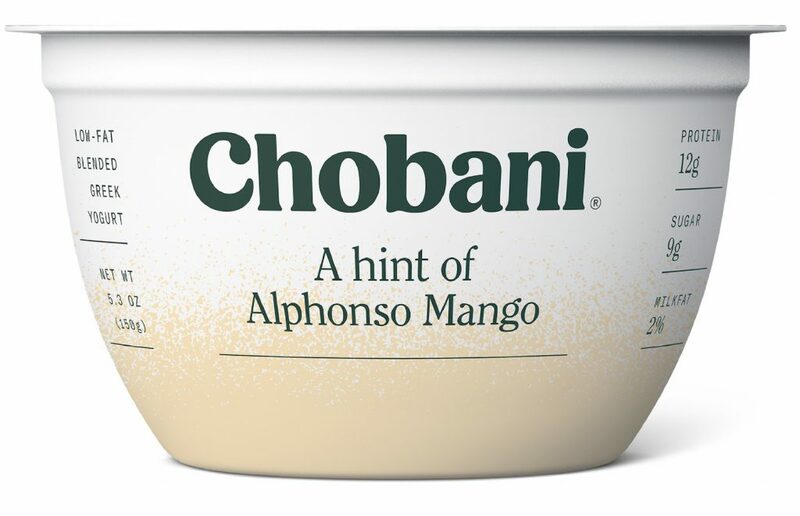 This option comes in a few different flavors (Alphonso mango, Clingstone peach, etc.) and has 9 grams of total sugar on average. In comparison, Chobani Fruit on the Bottom line of Greek yogurts can have 15 to 18 grams of total sugars on average. Some of the total sugar in these flavored yogurts comes naturally (Chobani plain/unflavored version has 4 grams total sugar). Some sugar in the Chobani Less Sugar Greek Yogurt may also come from the fruit puree in different flavors so the actual amount of added sugar is probably low enough. There is no other artificial sweetener added either. Single-serve cups (5.3 oz) of Chobani Less Sugar Greek Yogurt provide 12 grams of protein and 120 calories making it my favorite choice for a snack until I find something that is even better.